March 29-31, 2019 will be the first ever Women Who Wander Outdoor Retreat in the Frio Canyon. This will be a weekend of exciting outdoor events and classes, live music, and great fun! Not only will participants learn new skills, make new friends and enjoy great food, this event will benefit a very important program through the Texas Parks and Wildlife Foundation. The Texas Game Wardens are on the front lines saving lives in times of natural disaster and are widely recognized as the best trained corps of conservation officers in the nation. TPWF supports efforts to advance their capabilities and allows them to perform search and rescue/swift water missions as safely and effectively as possible. The event will be run by a group of Texas Game Wardens and other outdoor experts and enthusiasts. This group will be volunteering their time to conduct classes and guided excursions such as Firearm Safety, Self Defense Training, Hiking, Kayaking, Nature Photography and more. Additional experiences will be offered such as spa treatments, shopping, wine tastings, live music, and more. Join us for an incredible weekend experience in the Hill Country River Region this Spring! Cassandra Perry, Frio Country Resort; Rachel Kellner, Texas Game Warden; Annabell McNew, Texas Hill Country River Region, Inc.; Jamie Holmes, Frio Country Resort; Shannon Beasley, Realtor. Ali Withers - Texas Hill Country River Region, Inc.
Alex Alaniz - Alexandra Christine Photographer/Shannon Beasley Realty. Cassandra Perry, born and raised in Uvalde County. Likes Coors Light and Tito’s Vodka. Spends her days hanging with her dog Stetson Leonard and her cat Shiner Bock. Graduated in 2009 from Sabinal High School. Raised a small town girl. Grew up fishing and experiencing the outdoor life of Uvalde County and still continues to do this on a regularly basis. Diagnosed with lupus at the age of 15, she has never missed a beat. She takes great pride in raising awareness and empowering other women that face similar obstacles. Settled down in Uvalde between the Nueces and Frio River. She joined the team at Frio Country in the Spring of 2014. 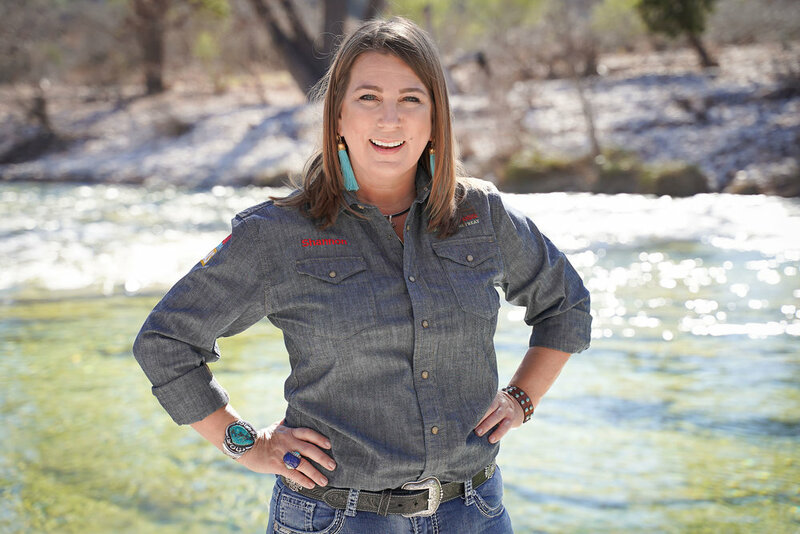 At Frio, she has helped organize and host multiple charity events, benefiting the Concan Volunteer Fire Department, Operation Comfort, Gear Up for Game Wardens and locals in need. Shannon Smith Beasley grew up swimming in the crystal clears water of the Nueces and Frio Rivers. Born in Del Rio and raised in Uvalde, she has a deep love and appreciation for the diverse landscape of Uvalde County. Shannon has settled along the Hwy 90 corridor that feels like home, residing in Castroville for the past 11 years. She holds a Texas Real Estate License and Texas Insurance License. She currently serves as an At-Large Trustee on the Medina Valley ISD School Board. As an active Realtor, Shannon has set a goal to approach life with honesty and professionalism. Relationships are the foundation of her business and earning the trust and confidence of clients and constituents is incredibly important to her. She is an active community volunteer, with a particular passion for working with and for children. She is a member of First Presbyterian Church of San Antonio. Shannon is the proud mom of 4 children – a 5th grade son at Castroville Elementary, a sophomore daughter at Medina Valley High School, and 2 daughters that graduated from MVHS in 2015 and 2016 consecutively. Rachel grew up in Katy, Tx. The only child to Farm and Ranch Real Estate parents. Rachel’s childhood consisted of many road trips to her future duty station, Uvalde County, and the surrounding areas to deer hunt. Duck hunting in the Katy prairie is where Rachel had her first interaction with a Texas Game Warden at the ripe age of 12 and she thought “well, that is what I wanna be” and the rest is history. Rachel is a 2002 Graduate if Texas A&M University. She has been a Texas Game Warden for 15 years, stationed in Uvalde County throughout her entire career. Rachel has 3 children and enjoys kayaking, hunting, fishing and the outdoors with her family and friends. Jamie Vaden Holmes is the daughter of an equine veterinarian and school teacher and spent her early years in the small South Texas town of Dilley, Texas and Katy, Texas. Her family relocated back to South Texas in the late 80’s where she graduated from Uvalde High School with many fond memories of the Frio and Nueces Rivers, weekend dove hunts, camping and hunting trips with her family, fishing trips both along the Texas Gulf Coast and throughout the Northwest US and the occasional unsanctioned high school trip to Mexico. During college, Jamie worked for 4 years for Texas A&M Athletics – Football Operations, and was an active member of Kappa Alpha Theta. After leaving Aggieland in 1995 with a degree in Engineering, Jamie worked for 14 years in Houston at a multi-national gas company in engineering, engineering management, project management, and financial operations and planning, and enjoyed developing friendships with and working alongside people from all over the world. She led the sales and business development efforts in the Americas for a South Korean energy equipment manufacturer before leaving to start her own international sales company in 2010. Now in Boerne, her children Mac (17), Caroline (15) and Alexandra (11) maintain active schedules, are her chief advocates and critics, and are her biggest sources of pride. 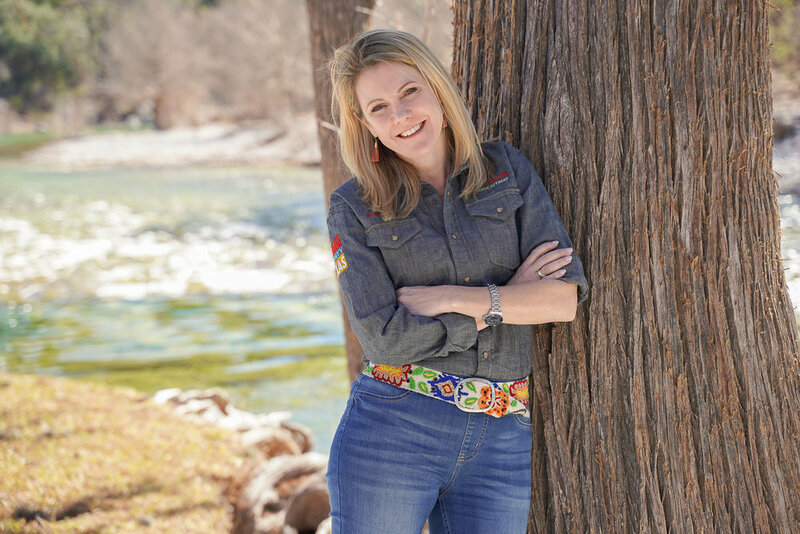 Jamie maintains board positions with Boerne Panhellenic and Boerne High School PTO, is President of Texas Hill Country River Region and maintains her international business. Jamie and a few investors, largely friends and family, purchased Frio Country Resort in the Summer of 2018 from her friend Patti Van Pelt and longtime running buddy, Casey Arthur Whatley. (Note, we don’t actually run anywhere.) Frio Country is an iconic Hill Country resort and owning it brings both pride and the pressure to continue the legacy created by Casey’s parents, Kenneth and Barbara, more than 30 years ago. Jamie enjoys spending time with her family and friends, cooking, eating, fishing, skiing, traveling and most of all, laughing. Jamie does not do yoga, paleo, pilates or meditation, has terrible posture, cannot tell you anything about any series on TV for the last ten years and does not know any makeup contour techniques. However, Jamie does take pride in knowing how to sit back around a fire with friends, share a cocktail and laugh at the ridiculous situations that life presents. Life will take some crazy turns that no one anticipates. Family, your faith and close friends are what will pull you through these tough times, not nice abs, Jimmy Choos and lip fillers. Invest wisely. Life can be so tragically short; love your people and live big. Annabell is originally from San Antonio and graduated from the University of Texas at Austin. She moved to Uvalde County in 2010, and was immediately drawn to the Hill Country River Region. With a background in marketing and a love for the region, she found the perfect career fit at Texas Hill Country River Region, Inc. as Executive Director. She has 2 precious kiddos, Wally (4 yrs. old) & Mae (2 yrs. old).